Migraine headache occurs frequently in children and adolescents but is often not recognized. This underdiagnosis or misdiagnosis results in inappropriate and potentially ineffective treatments. A variety of factors may contribute to this deficiency, including limitations in the current standardized criteria, as well as patient, parent, and care providers’ misassumption as to the etiology. The standardized criteria that have been developed to assist with the recognition and accurate diagnoses have recently been revised (the International Classification of Headache Disorders II). 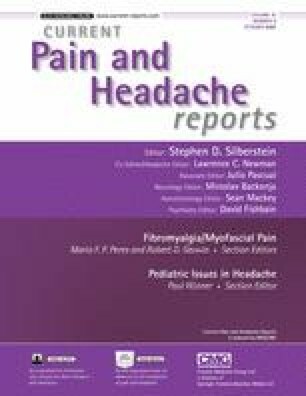 These criteria provide the scientific basis for the study of headache, including the determination of the incidence and prevalence of pediatric migraine.